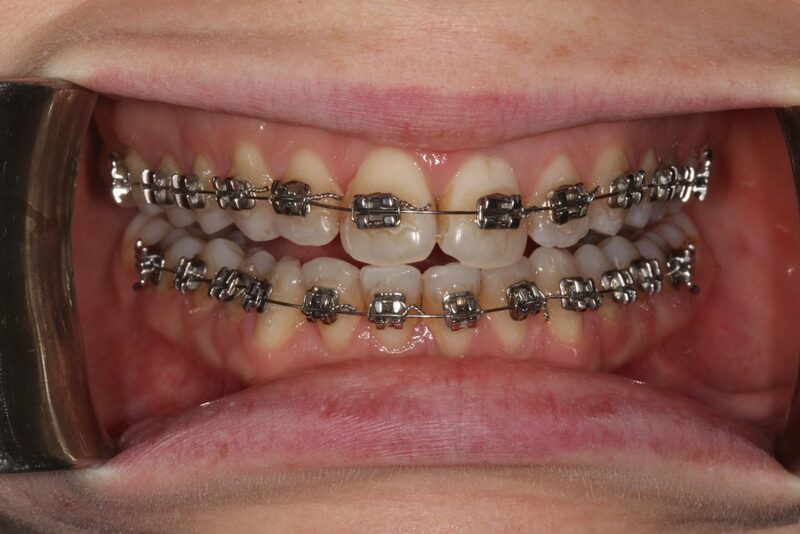 A fixed appliance brace is like your traditional style brace or “train tracks” as they are often known. They are made up of individual parts such as wires, brackets and bands which all work together to help guide teeth into a straighter position. At the beginning of your braces treatment, the wires are quite flexible and as your teeth start reacting to the braces and your treatment progresses, they will gradually get much stiffer. Six month braces are a very popular choice for those who wish to achieve straighter teeth within a much shorter time period which makes it a great option for brides-to-be who want a perfect smile for those wedding photos or even for those whose lives can be quite hectic and they just don’t have the time to be wearing braces for 1+ years. Traditional braces can take a considerable amount of time longer and move much more gradually. Depending on the severity of the case, it can take anywhere from 1-3 years for traditional braces to achieve the desired end result. 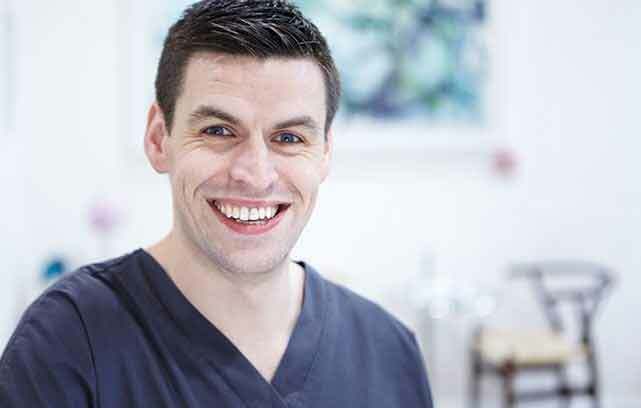 Dr. Eamon O’Reilly is a general dentist with us in Boyne Dental & Implant Clinic with a special interest in Orthodontic practices and he can advise you and guide you through your braces journey in the best way possible. Are fixed appliances the option for me? 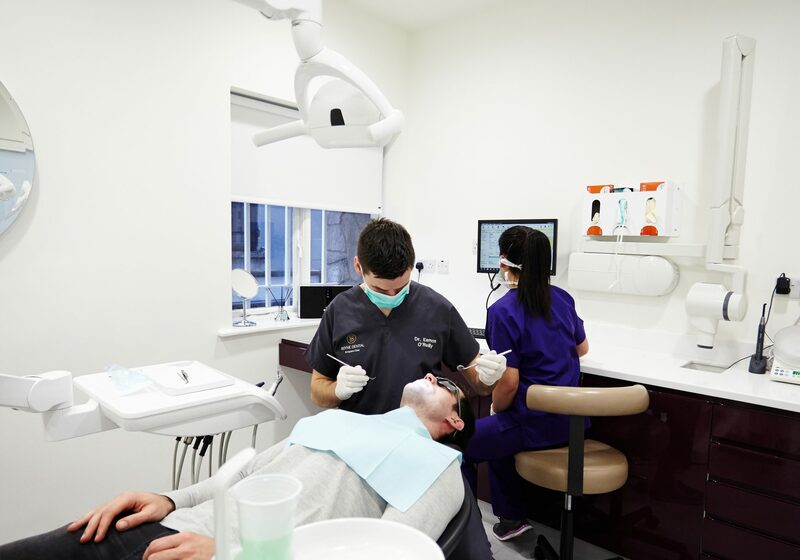 Whether it’s six month braces or conventional braces, your Dr O’Reilly and his team will discuss all your options and help you find one within your budget and also what will give you the most realistic results. If you want to only cosmetically alter your teeth, then perhaps six month braces may be what you are looking for. If your bite needs correcting and you are hoping to fix overcrowding, etc., then perhaps traditional braces are the right choice. The initial consultation is FREE of charge and Dr. Eamon will help you in making these decisions. During your free consultation, options on appliance to best suit your particular problem will be discussed with you. In many instances you will have a choice. Braces come in three varieties: brackets, metal or plastic. Plastic are bonded to teeth and are far less noticeable. The ‘lingual’ type of braces consists of brackets that attach to the back of the teeth, hidden from view. Bands are the traditional type that cover most of your teeth with metal bands that wrap around the teeth. All use wires to move the teeth to the desired position. That depends on your treatment plan. The more complicated your spacing or bite problem is, and the older you are, the longer the period of treatment. Most patients can count on wearing full braces between 18 and 30 months, followed by the wearing of a retainer for at least a few months or up to two years to set and align tissues surrounding straightened teeth. Some patients may have to wear a permanent retainer if you do not want your bite to return to the way it once was. The interconnecting wires are tightened to each visit, bearing mild pressure on the brackets or bands to shift teeth or jaw, gradually into a desired position. Your teeth and jaws may feel slightly sore after each visit, but the discomfort is brief. Keep in mind also that some teeth may need to be extracted to make room for teeth being shifted with braces and for proper jaw alignment. What materials do braces come in? Braces can be applied using different materials, metal and ceramic and this gives patients the option of choosing a more discreet type of fixed appliance if they wish. Ceramic brackets are tooth coloured which make them harder to notice and are especially desirable for those who wish to be a little more private about their braces. Metal are a slightly cheaper option for patients but will be a lot more noticeable on the teeth. 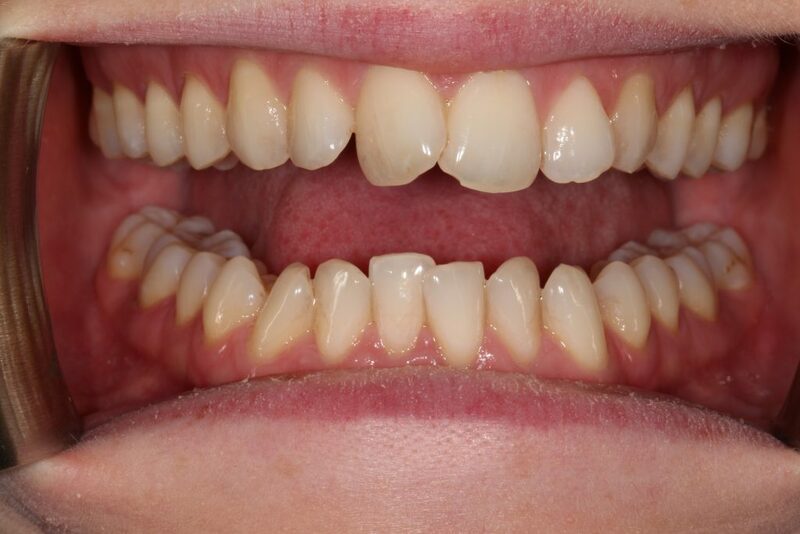 Can I get just upper or lower teeth braces? Yes! 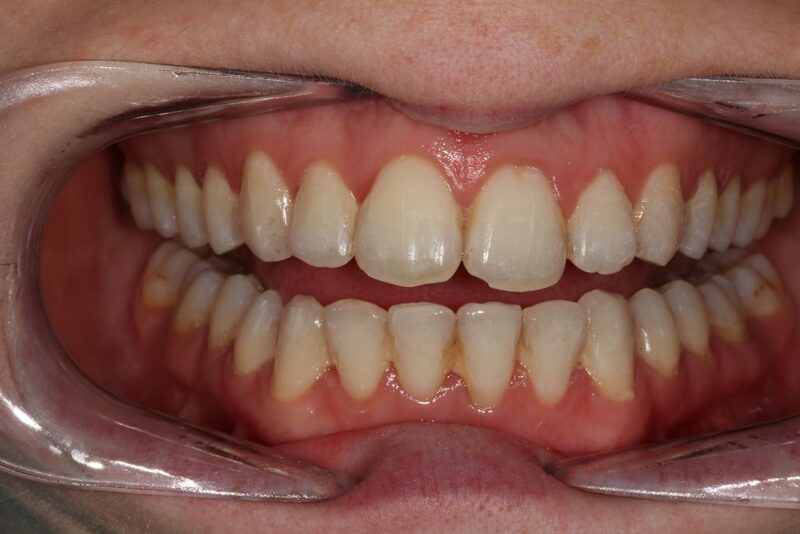 Patients who only wish to improve either their upper or lower teeth have the option to only have these attached. While wearing braces, you can eat most foods without any problems, however, sticky foods such as toffee should be avoided if possible. Your braces may stain and in some cases, those who would be particularly fond of curries, coffee, etc., have had to cut down their intake. But not to worry! During your treatment you will have many brace adjustments and certain parts can be changed and freshened up during these appointments.